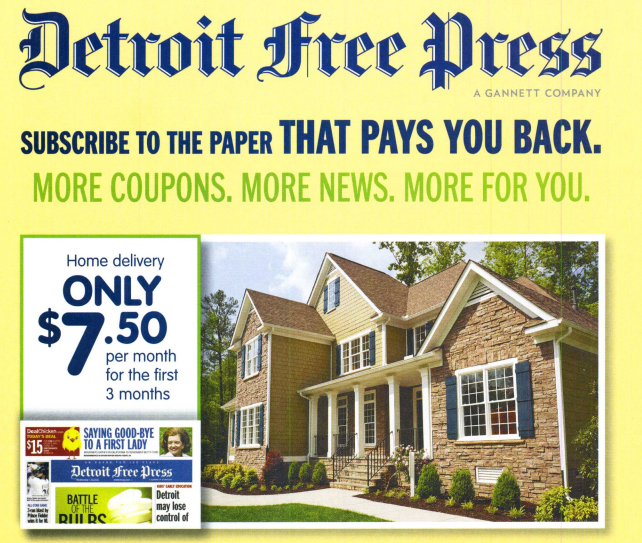 Save on Detroit Free Press Newspaper Subscription with Special Discount! I am excited to share that you can now save on your Detroit Free Press newspaper subscription with our special discount code. The coupons in the Sunday newspaper are a great way to save and now you can even save on the newspaper subscription itself! The special offer is just $7.50 per month for the first three months! The regular price of the Sunday only subscription is $15 a month so this is an amazing deal. You can save much more than this each week by using coupons. With this special, you will get the the Thursday, Friday, and Sunday home delivery plus 7 day access to the e-Edition. Enter code SM at subscription page to qualify for the discounted newspaper subscription. This special offer is good only for new subscribers. How would you like to save 50% or more on your weekly grocery bill? Don’t you have other ways that you would like to spend that money? I know I do. I am leading a Savings Nation money-saving workshop next Monday, September 24th, along with other instructors all over the country. My workshop teaches attendees simple, savvy tips and tricks to save money at the grocery store by pre-planning meals and purchases and using coupons to score savings of up to 50% on grocery bills. Savings Nation is a nationwide movement taking off in more than 50 cities across America, helping millions of people each month, online and offline. The cost is $10 per person, and you will receive a really nice workbook (pictured above) to take home with you too! If you act quickly though you can attend the class for just $5!!!! Through end of day Friday, September 21, you can use the coupon code HALFOFF to sign up for the class for just $5! Sign Up Here for this class! I also have a special limited time offer for groups that contact me to use this class as a great fundraiser. All your group has to do is provide the space and promote the class to those you know and I will teach the class, provide amazing workbooks, and help people save money. Your group will receive ALL the profits from the class entrance fee! This provides a great value to the attendees and is an easy money maker for your group! Be sure to fill out the quick and easy survey to let me know your group’s interest. I think some of my replies to people who fill out this survey have been going to spam. So please e-mail at bargainshoppermom@gmail.com if you are interested as well. Here are the Meijer matchup highlights for the week. Remember in the Metro Detroit area, coupons up to $.50 will double. Want to learn how to save more at the grocery store, be sure to attend a Grocery Savings/ Couponing Class! There are one class coming up this soon! Final price $0.50 ea. wyb 4 after coupon! Final price $0.75 ea. wyb 2 after catalina! Final price as low as $1 ea. wyb 4 after coupon and instant savings! Sara Lee Deli Cooked Ham – $2.99/lb. Final price $0.49/lb. after coupon! Buy (6) Kleenex – $1.25 ea. Buy (10) Gerber 2nd – $0.95 ea. Be sure to check out Give Me Neither for the full matchup this week. Want to learn how to save 50% or more at the grocery store, be sure to attend a Grocery Savings/ Coupon Class! These classes include tips and tricks on couponing, meal planning and how to outsmart the grocery store! There is a class coming up soon! Be sure to sign up! Here are the best deals at Kroger this week. These Kroger deal matchups have been created using the Kroger store ad for the Metro Detroit area, where coupons double up to $0.50 (limit 3 identical coupons per order). $0.20 after coupon — great charity donation! Be sure to visit Bargains To Bounty for the full matchup! Here are the highlights for the best deals this week at Kroger. Note that this ad runs through next Monday – next week’s ad will begin on Tuesday instead of Monday b/c of the Memorial Day Holiday. 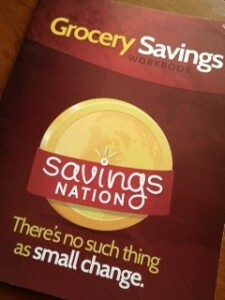 Want to learn how to save more at the grocery store, be sure to attend a Grocery Savings Class! Be sure to check out Bargains To Bounty for the full match up. The first class is just a little over a week away. Have you signed up yet? I have a new code you can use for $2 off. Just enter DETBLOG to receive $2 off which brings the cost of the class down to just $8!!! You will save this your first week of planning your meals and shopping grocery sales. I announced awhile back that I would soon start offering Grocery Saving/Coupon Workshop in the Metro Detroit area. I am happy to announce that the first class is scheduled! The cost is just $10 for the class and you can sign up online for the class here. These workshops will give you the tools, information and community support you need to save up to 50% on your weekly groceries. For the average family that equals an extra $200 a month in your pocket! Learn that it’s possible to eat healthy and to save money. These classes are not just about couponing. They will help you understand grocery sales cycles and how important meal planning is in order to save your family money. I will give you quick tools and tips for both of these as well as provide links to easy menu ideas and online tools. I will show you that by making simple changes in your buying habits you can save so much money! You don’t have to spend hours and hours cutting coupons in order to save. I plan to bring these classes all throughout the Metro Detroit area but need to know the best place to plan them. To help me, please fill out this quick and easy survey. I also have a special offer for the first 10 groups that contact me to use this class as a great fundraiser. All your group has to do is provide the space and promote the class to those you know and I will teach the class, provide amazing workbooks, and help people save money. Your group will then receive half of the class entrance fee! This provides a great value to the attendees and is an easy money maker for your group! I hope you can make it to the first Grocery Savings Workshop in Metro Detroit on May 22 in Troy! Sign up online for this very valuable class here! If you can not attend but live in the Metro Detroit or Mid Michigan area please be sure fill out this quick and easy survey. This will help me plan classes near you. Also use the survey to indicate whether your group is interested in a class as an easy fundraiser. I think this would be perfect for PTOs and other groups. Don’t forget today is the last day to get $3 off the price of the Grocery Savings Class with the coupon code EARLYBIRD! The cost is just $10 for the class and you can sign up online for the class here. If you sign up today, you can use the coupon code and pay just $7! Sign up online for this very valuable class for here! Want to learn how to save money at the grocery store? Learn more about my Grocery Savings Workshops where you can learn to save up to 50% at the grocery store ! Thanks to Bargains to Bounty for these highlights. Be sure to visit the Bargains to Bounty website for the full match up.